In which G.M. Norton receives his half-term report for his 2013 crusade, Year of the Gentleman. To much fanfare, in January I announced Norton of Morton’s mission for 2013 - Year of the Gentleman. The idea behind it is to encourage men to find their gentlemanly side and to celebrate chivalry. 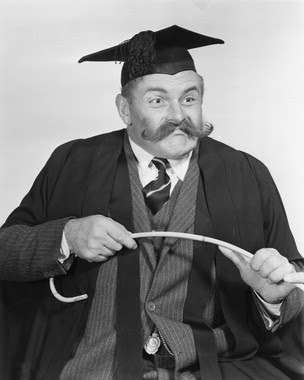 Well, dear reader, I have received my half-term report from Headmaster, Professor Edwards off of ‘Whack-O!’ fame (as portrayed by the spirit of the late thespian Jimmy Edwards). In which G.M. Norton lets his manly scent secret out of the bag. As an aspiring English gentleman, not only is it important to look and behave impeccably, it is also vital to be a fragrant fellow too. Athletic odour should be avoided at all costs. 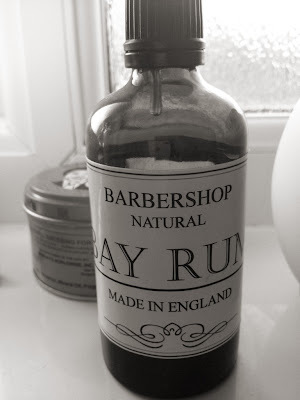 As part of one’s grooming ritual and sitting proudly in any self-respecting chap’s medicine cabinet is a trusty bottle of aftershave. Sat in my yet to be acquired medicine cabinet is Barbershop Bay Rum. In which G.M. Norton offers a glimpse into the life of being a gentlemanly father. 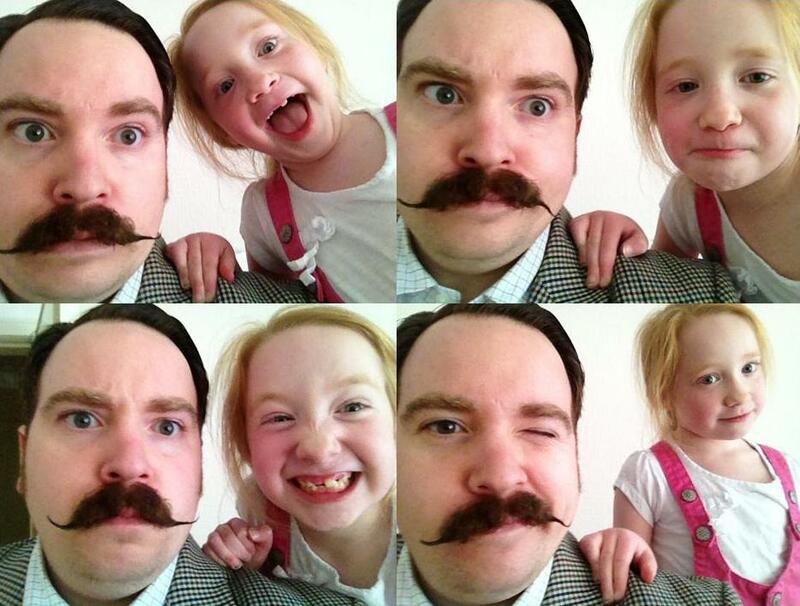 Not only am I an aspiring English gentleman, I also the very proud father to two beautiful girls. With Father’s Day only a day away, it occurred to me how similar the roles of Gentleman and Father actually are. Please allow me to explain a little. The way I see it, a good father should set a positive example, be respectful, show courtesy and kindness and live a life of integrity and honesty. I also consider these to be the true traits of a gentleman. In which G.M. Norton waxes lyrical about his sub-nasal topiary. It is said that ‘a man is known by the moustache he keeps’. If that is true, this is how I am now known. What's black and white and read all over? This periodical! 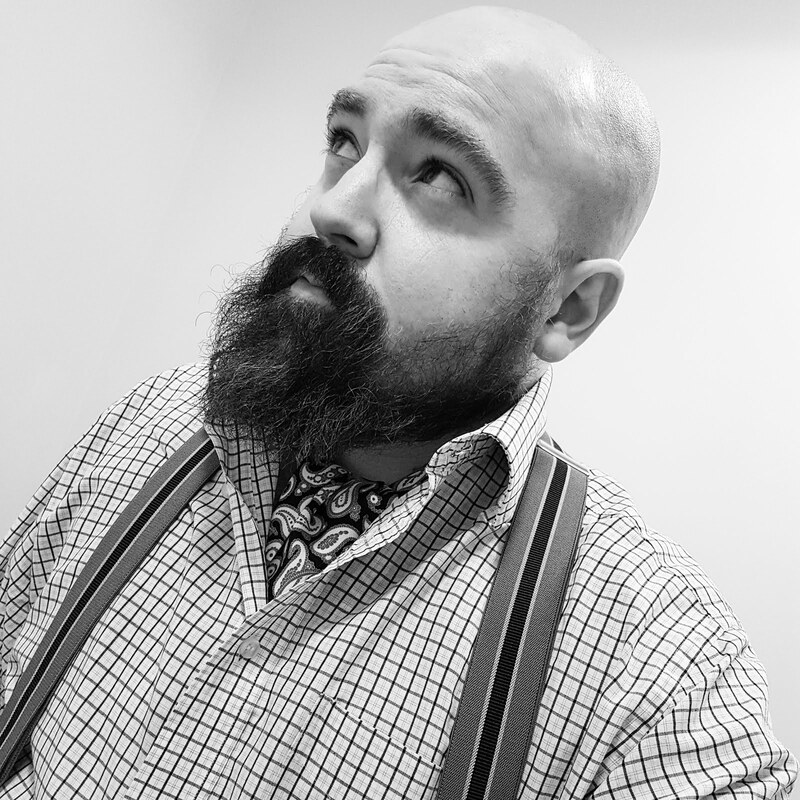 It is now 98 days since I made the momentous decision to ‘grow a mo’ and several weeks since my last hairy update. 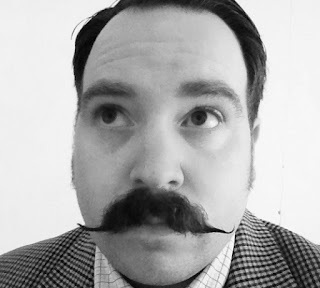 It warms my heart to think that every strand of hair found above my top lip serves as a tribute to the pantheon of moustache holders throughout history – Lord Kitchener, Sir Arthur Conan Doyle, Jimmy Edwards, Terry-Thomas, Leslie Phillips, Barry Chuckle. I am sure you have your own personal favourite hirsute hero. In which G.M. 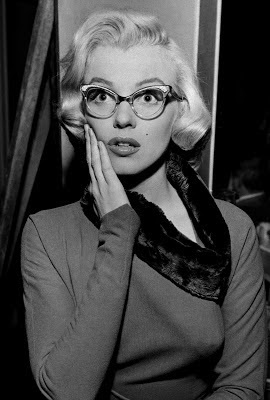 Norton pays tribute to Hollywood’s (second) blonde bombshell. I thought it was jolly well time I entered another lovely lady into my pantheon of ‘Smouldering sirens’. So without further ado, I would like to formally induct Marilyn Monroe to my list, following in the dainty footsteps of fellow actress, Miss Grace Kelly. So, what is it about the blonde-haired beauty with the voluptuous figure and sensuous appeal that made me enter her into my ‘Smouldering sirens’ list? I’m at a loss to explain it, I really am. I suppose it may have been the blonde hair, voluptuous figure and sensuous appeal.